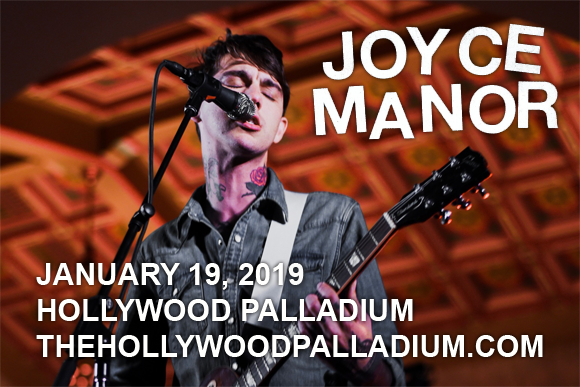 California pop-punks Joyce Manor are headed to Hollywood Palladium on Saturday 19th January 2019! The group is soon to release its hotly anticipated new album, Million Dollars to Kill Me, bringing their melodic indie-rock to the stage on a supporting tour, with a whole host of new material for fans to get VERY excited about! Tickets available now! American indie rock band Joyce Manor formed in Torrance, California in 2008, and consists of lead vocalist and guitarist Barry Johnson, guitarist Chase Knobbe, bassist and back-up vocalist Matt Ebert, and drummer Pat Ware. The band released its self-titled debut album in 2011, which went on to be named Punknews' “2011 Album of the Year”, as well as featuring on a number of other year-end best-of lists. To date, the group has released four studio albums, with their fifth album, Million Dollars to Kill Me, slated for a 2018 release.